Mediation is a way for couples who have decided to separate to come into a neutral environment in which they can explore the options open to them to be able to reach their own fully-informed decisions about future family arrangements. 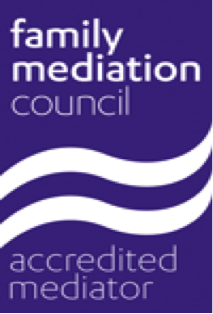 Mediation can assist with making arrangements relating to children and/or financial issues. It is a process which is both voluntary and confidential. Research shows that family arrangements resolved by mediation are cheaper, quicker and less acrimonious than those settled through the Courts. Throughout the process you can both speak to your individual solicitors if you wish to seek advice about particular issues which arise at any time. We are able to provide a MIAM if you require this service. A MIAM is required in most cases if you are contemplating an application to the Court as the Court will want to know that you have considered mediation as an option before making your application (there are some exemptions from the requirement to attend a MIAM). The Family Mediation Council website provides helpful information in relation to MIAMS and whether this is required in your situation. What happens at the conclusion of mediation? If you cannot resolve matters, the time in mediation will not have been wasted as the mediator can give you an open financial statement which sets out the financial information you have both disclosed during mediation which will save the time which may otherwise be needed to take to provide this information to your solicitors. Please feel free to contact us for a no obligation discussion about the process of mediation and likely costs. Costs can be shared between you or one of you may agree to pay the overall costs for you both. You will always be given an estimate of the costs before the first mediation session takes place. We are not able to offer legally aided mediation. Resolution is a professional organisation which ensures that quality standards are maintained in all areas of family law on an ongoing basis. Sarah is also a member of Lawyers Who Mediate which is a group of experienced local mediators who work together to promote family mediation as an alternative and less stressful way of reaching solutions for families.